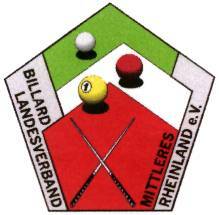 Anbieter: Billard Landesverband Mittleres Rheinland e.V. of information which is incomplete or incorrect, will therefore be rejected. to these pages. Furthermore the author is not liable for any postings or messages published by users of discussion boards, guestbooks or mailinglists provided on his page. not possible, to indicate the copyright of the respective object.